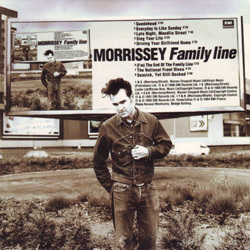 This compilation of songs from Morrissey's first three albums was given away with subscription to French magazine Les Inrockuptibles. The offer appeared in issue 56 (May 1994) of the magazine. 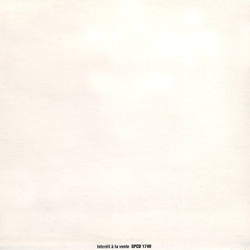 The last two tracks are mislabelled as "The National Front Disco" and "Seasick, Yet Still Docked". Morrissey. 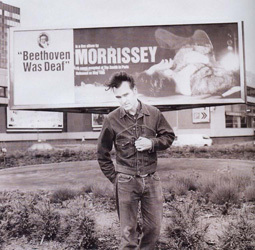 The billboard behind him showed an advertisement for his "Beethoven Was Deaf" album before it was retouched to create this artwork (view original).